The Arboretum is now accepting artists’ proposals for 2020 exhibits in the Visitor Center’s Steinhauer Trust Gallery. The submission deadline is April 14, 2019. Exhibits hang for two months, starting in January 2020. A juried committee will select the exhibits, and artists will be notified by mid-May. The purpose of the Gallery is twofold: to celebrate through the visual arts Wisconsin’s natural heritage and the human connection to the land, and to showcase the creativity and talent of artists who draw their inspiration from nature. The committee seeks work that complements the Arboretum’s mission and purpose, such as subject matter focused on plants, animals, and landscapes native to Wisconsin and/or the Midwest, and that considers the relationship between humans and the land. The selection committee consists of Arboretum staff and volunteers. Individual and group submissions are welcome. For group submissions, please designate one person as the contact. We can only display wall-hung art. Artists must have enough material for 90 linear feet of wall space. 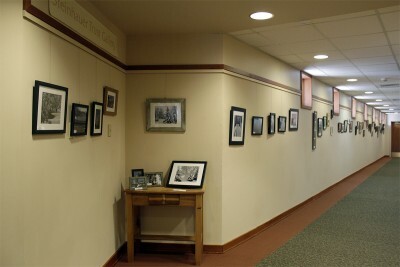 For additional information, see the Steinhauer Trust Gallery web page. 6–8 images that accurately reflect the proposed exhibit. Images should be 100 dpi, 3,000 pixels on the long edge, saved at high-quality (8) jpeg compression. Email images and text documents together as a compressed zip file to Katie Pfankuch (kpfankuch@wisc.edu), with the subject line “gallery submission.” The zip file should not be larger than 15 MB. Note: Materials will not be returned.